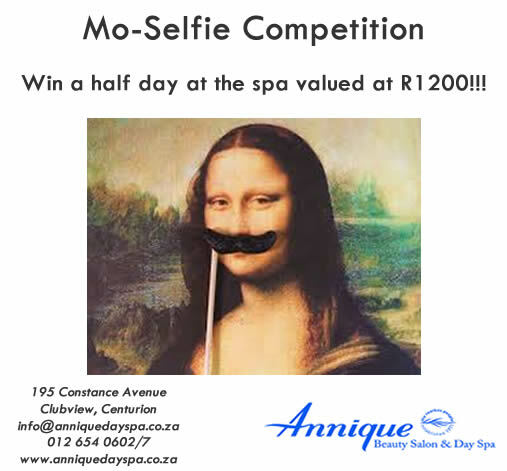 Mo-Selfie Competition- Win a half Day at the spa valued at R1200!!! Ladies and gentlemen can enter this competition, anytime throughout the month of November. 1. Take an interesting, creative selfie of you and a moustache. 3. Share your photo and get people to vote for you by liking your post. The competition closes on 30 November 2014. Remember to check out movember.com for the cause (raising awareness on men’s health issues such as prostate and testicular cancer), where you can also register to become a Mo Bro or a Mo Sista!